Dollywood is a theme park owned by country music singer Dolly Parton and the Herschend Family Entertainment Corporation. In addition to standard amusement park thrill rides, Dollywood features traditional crafts and music of the Smoky Mountains area. Dollywood also owns the adjacent Dollywood's Splash Country, and the chain of Dixie Stampede dinner theaters. The park hosts a number of concerts and musical events each year, including appearances by Parton and her family, as well as other national and local musical acts. 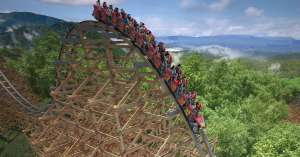 Other Specials & Coupons To view Dollywood Admission Tickets, other Specials and Coupons, go to their special page by clicking here. Dollywood updates this page throughout the year, so check back to see if new specials and coupons have come in. Note to our visitors Dollywood coupons and specials can change without notice. So please visit their official website to make sure of the latest pricing and coupons.